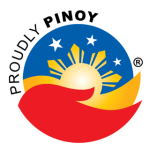 The Department of National Defense initiated the P189,934,000 Landing Craft Utility acquisition project on June 25, 2008 on behalf of the Philippine Navy. Because of the project’s monetary value, it fell under the responsibility of the DND Bids and Awards Committee (BAC). A Landing Craft Utility (LCU) is a relatively small amphibious assault vessel that transports vehicles, personnel, and materiel to direct to shore, without the need for port facilities. Prior to this project, Philippine Navy ships in this category consisted of ex-US Navy LCU Mk.6s which were remnants of the Second World War. Replacements were sorely needed. The project produced the largest locally manufactured Philippine Navy ship to date. The previous record holder was the Marcos-era 44-meter Aguinaldo class patrol gunboat. The LCU, in comparison, is 51 meters — 15 meters longer than existing LCUs. In addition to its place in history, this project is also noteworthy for the numerous twists and turns it took in its three year run. For example, its first bid opening was deferred a total of 11 times, between August and December 2008. Despite this, the first bid attempt was declared a failure. This craft is held up on the Timawa.net forum as an illustration of the challenges facing SRDP as a whole, and naval shipbuilding in particular. The Philippine Navy is expected to commission this LCU, tentatively named BRP Tagbanua, in November 2011. The following table presents the latest official timeline for this project, as stated in the Department of National Defense Procurement Monitoring Report for July 2010. This PMR is currently available on the GPPB Website, and is open source information. August to December 2008 Bid submission and opening. There were a total of 11 schedule changes for the opening of bids. January 22, 2009 Only one (1) bidder, Santiago Shipyard and Shipbuilding Corp, participated during the bid opening. The Tax Clearance Certificate submitted by the bidder was found to have expired, thus patently insufficient and not compliant with the bidding documentsDND BAC Resolution No. AFPMP-PN-LCU-09-001. DND BAC declared a failure of bidding for the said project and directed the conduct of re-bidding. DND BAC Resolution No. AFPMP-PN-LCU-09-002. DND BAC declared Propmech Corporation as the Lowest Calculated Bidder and Santiago Shipyard Shipbuilding Corporation as LCB2 for the said project and directed the conduct of Post Qualification. June 4, 2009 DND BAC Resolution No. AFPMP-PN-LCU-09-003. DND BAC resolution amending Resolution No. AFPMP-PN-LCU-09-002 dated May 7, 2009 and declared Santiago Shipyard and Building Corporation as Lowest Calculated Bidder (LCB) and Propmech Corporation as LCB2 for the said project and directed the conduct of Post Qualification. December 14, 16, and 17, 2009 The first phase of Post Qualification focused on visit to the main office of Propmech, the verification of the eligibility documents submitted during the bid opening of the legal and financial documents with the Maritime Industry Authority (MARINA), the Bureau of Internal Revenue (BIR), and Banco de Oro. January 11 to 13, 2010 The second phase of the post qualification was in Cagayan de Oro City which focused on the Shipyard in Jasaan, Misamis Oriental and the warehouse and service center in Cebu City. February 5, 2010 DND BAC Resolution No. AFPMP-PN-LCU-10-001. DND BAC declared Propmech Corporation as the Lowest Calculated Responsive Bidder (LCRB) and recommended SND’s approval for the issuance of Notice of Award (NOA) in its favor.